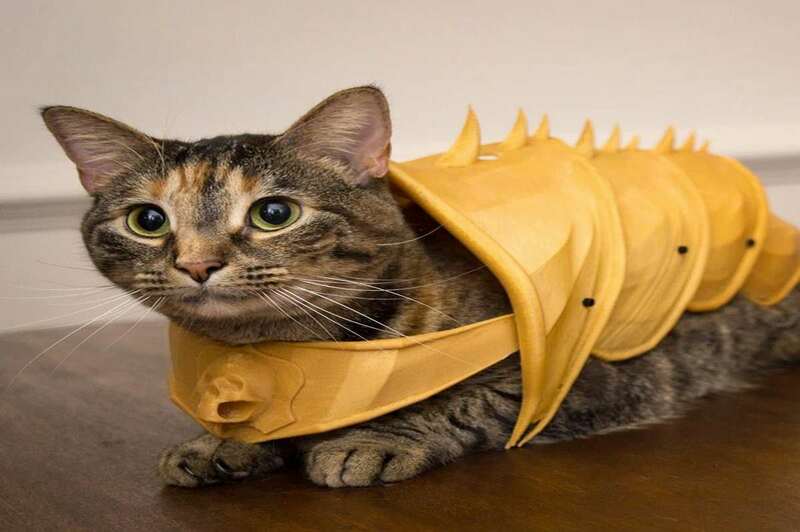 Now that the dog is Kevlared, spiked, and pokey bristled to the hilt with a CoyoteVest, it's time to turn your attention to armoring the cat. 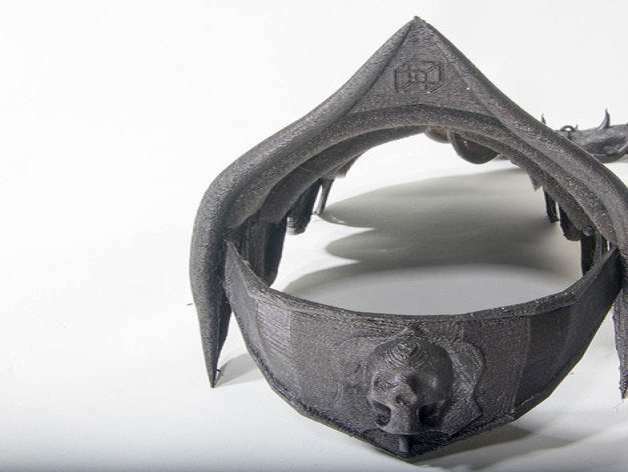 True, you've had the leather Cat Battle Armor option for a couple of years now, but this new version of feline protective shield is made from PLA and, more importantly, made by you. 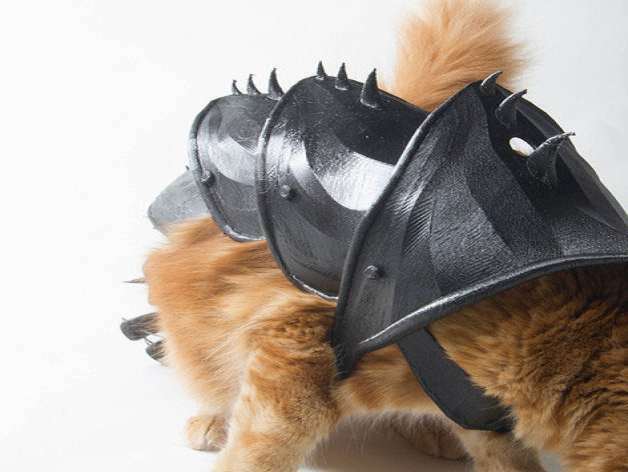 Jwall, who runs a 3D printing design, tutorial, and general news YouTube channel called Print That Thing, created the Cat Armor designs, and printed them on a MakerBot Replicator 5th Gen. His orange fur ball, Bobo, models the assembled spike-lined articulating spine and gnarly medieval tail in the photos above. 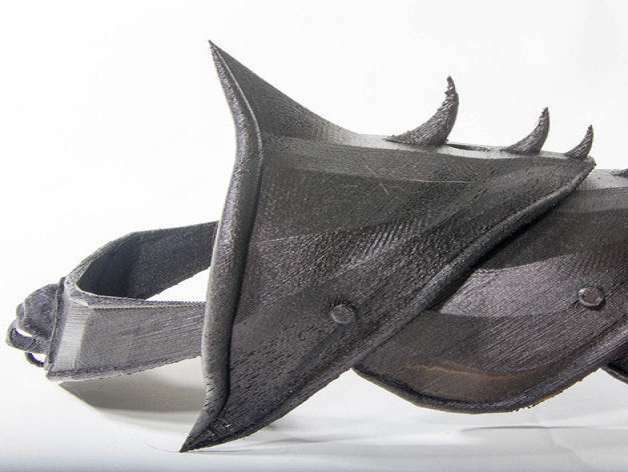 Jwall has also uploaded all of his design files to Thingiverse, where they're free for the taking and 3D-Printed-Cat-Armor-making by you, or anyone else you know whose puss needs some protection, some badassing up, or just a sweet costume for the Game of Thrones season premiere next month. Muchas danke to Boing Boing.